If your boiler has become a constant source of stress, then it is time to look at Boiler repairs in Dartford or the surrounding areas in Kent. Turner Plumbing offer a range of services ranging from emergency plumbing services and bespoke bathroom design. Turner Plumbing Services can help to alleviate the stress of having a faulty boiler in Belvedere, by replacing your troublesome boiler with a more energy efficient and higher performance one. 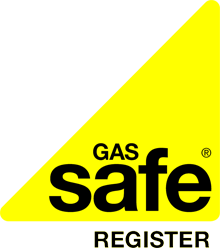 Our Gas Safe registered heating engineers have undergone extensive training and are highly experienced when it comes to boilers replacements, and their extensive knowledge of the leading boiler manufacturers’ models helps when deciding what boiler is best suited to your property’s heating requirements. Before fitting the new boiler, our heating engineers will take time to survey your entire heating system in order to see if its overall efficiency can be improved. In some cases, your system may need to power flushed to clear any harmful residues that may be present in it. If you have grown tired of your old and unreliable boiler, then get in contact to get an idea of the cost of having a new and more efficient boiler installed. We offer boiler repair and installations in Crayford, Dartford and all the surrounding areas. Turner Plumbing Services is a small and friendly family run plumbing Company based in Crayford.